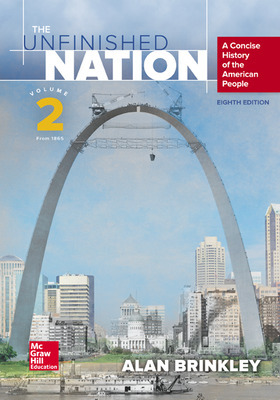 Known for its balanced voice and approachable scholarship, Alan Brinkley's best-selling The Unfinished Nation offers a concise, yet thorough survey of American History appropriate for students at all levels. 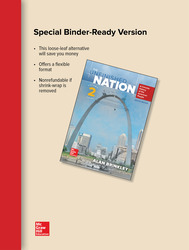 This edition features new scholarship and updated discussions, most significantly on the topics of War, American Imperialism, and Globalization. Brinkley’s accessible narrative is available as a digital SmartBook™, a personalized eBook that enhances understanding by asking students to demonstrate comprehension as they read. It is also supported by engaging digital tools, such as interactive maps, that encourage critical thinking and retention of key course concepts. SmartBook is sold separately and does not come automatically with the purchase of the textbook. Consider the Source: Martin Luther King, Jr. "I Have a Dream"